The Vision itself is quite lightly reinforced for an RRD – if you’ve checked out the Religion wave kite, you’ll know what we mean, but there have been some extra reinforcements added around the leading edge closures. As an entry-level kite, the Vision is still a great set-up, with adequate reinforcement throughout, but not so much that it will interfere with the flying characteristics. The popular mid-size Boston inflate valve is used for the one pump, and in general everything is all neat and tidy, very simple and easy to get on with. Plus, the bag turns into a changing mat and car seat! The totally over riding sensation as soon as you put the kite up, and throughout your session, is of calm control. The seven metre turns the noise down in your session. Seven metre weather in Cape Town is pretty full on, but the Vision just deals with all that with a sense of stability and control. The natural bar position is in the middle of the throw, allowing some room for sheeting power and depower, but not vast amounts of either. The Vision isn’t a very gutsy sheet-and-go kite, and at the same time it doesn’t depower to zero. Unlike some entry level kites, the Vision sits a little further up the spectrum towards intermediate freeride. Intuitive to steer, you can be pretty aggressive with the Vision and it responds cleanly and efficiently and always with a steady pull in the harness. It’s never jerky, but equally if you’re intent on climbing the Woo leaderboard quickly, this isn’t the kite to do it on. You’d want more of a boost injection. When you send the Vision it responds well, but there’s not a huge amount of punchy lift overhead. If you want to go high, you can do, but the kite needs to be handled aggressively. However, this is perfect for where RRD have positioned the Vision. When you’re learning to jump and sending the kite you’re often inhibited if you have no idea how much power is going to be unleashed on your body if you get a bit overzealous with your steering. The Vision rewards you when you get it right, but it doesn’t overload you when you get it wrong. In terms of its all-terrain abilities, unlike freeride kites with a lot of sheeting power, the Vision is better suited to trying some basic unhooked moves. With a little trimming it’s not too unnerving to come out of the loop on the Vision, further confirming where it sits in the intermediate freeride spectrum, offering more to the athletic improver who isn’t simply looking for boosting power. The standout quality for us though was through the turns and the lively, responsive feel when sending the kite back and forth across the window. It’s not what you’d call fast, but it’s nicely responsive and well behaved, allowing you to always be able to quickly and easily start the kite moving across the window while you then focus on getting your foot pressure right on the board for your carves. You can feel the kite through the turn as it doesn’t depower to zero, but it maintains the steady amount of pull as it keeps moving round the window, adding to the smoothness in your riding. It’s not as off / on in its delivery as other first time kites in other words, and you’ll learn to appreciate that. Transitions, upwind ability, steady power to get your going as you move the kite into power – those boxes are all ticked, but it’s the fun steering that will encourage intermediate riders to have the confidence to start turning in and around the waves that we liked most. There’s nothing like having the confidence to whip a kite around above your head while you’re out at sea, with the kite feeling more like an ally than a weapon you’re a bit unsure of how to fire. We’re not surprised that there are people buying this kite for its wave riding abilities as it’s a slightly softer ride with less bar pressure than the Religion. Relaunch is also at a level you’d expect to help improving riders can back up and going again. Plug and play simplicity in abundance without any unnerving injections of power if you get your steering a bit wrong. Certainly versatile and easy to use, the Vision makes sense in your hands and will inspire lots of riders to pick up a smooth, clean style. The throw-around nature and steady power delivery. Plug and play simplicity. Smaller riders are going to love this. Bigger than average guys may want a bit more grunt in their early sessions. 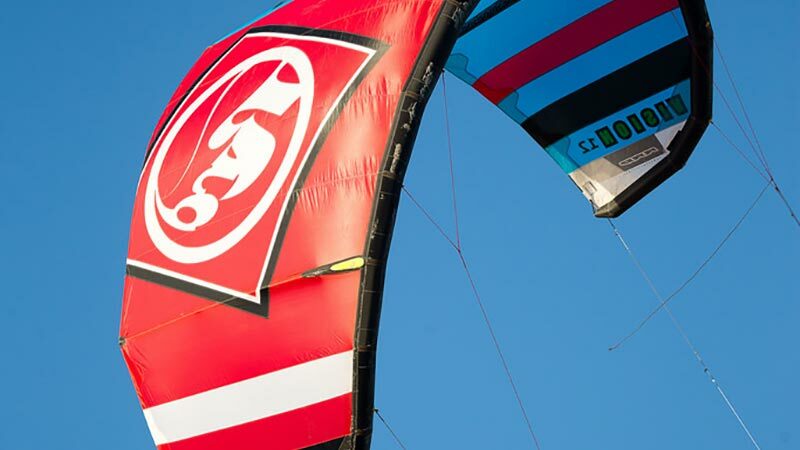 RRD 2015 Kites – Vision MK4 from RRD International on Vimeo.